Entry into Portugal by foreign citizens who are nationals of third states is decided on based on the reason for their visit and the amount of time that they stay. For short stays, foreign citizens must meet the requirements of the Schengen rules. For long stays of more than three months, the requirements of Portuguese legislation in force must be met. 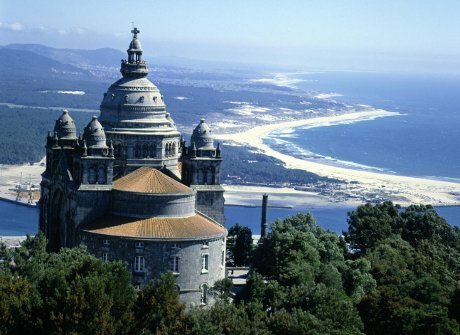 If you intend to visit Portugal for the purpose of tourism, and you are a national of a country subject to a visa requirementfor entry into the Schengen area, you must request a Schengen visa prior to your trip from an embassy or consulate in the area where you live, or from the embassy of a Schengen country representing Portugal for this purpose. Aside from tourism, the Schengen visa also allows entry to Portugal for foreign citizens travelling on business or for professional, family, scientific, cultural, sporting, political or religious reasons. All foreign citizens intending to remain in Portugal for a period of up to one year, or to establish their residence for more than one year, must request the respective long-stay visa – Temporary Stay or Residence - from the Portuguese embassy in their country of residence or from the Portuguese embassy with jurisdiction over their country of residence. Visas may be requested for the following purposes: investment, work (employed or independent), study, professional training, research, highly skilled work or teaching, religious training and medical recovery and treatment. All nationals of European Union Member States, States that are part of the European Economic Area (EEA), states with which the European Community have free travel agreements and nationals of third States who are family members of a Portuguese citizen or family members of EU or EEA citizens are excluded from long-stay visa procedures. The only requirements for these applicants is that they have to hold a Schengen visa, if applicable, upon arrival in Portugal and must register with the Foreigners and Borders Service in their area of residence. All applicants must simply have, when entering Portugal, a Schengen Visa, if applicable, and to register with the Foreign Services and Borders of their area of residence.